The Child Dental Benefits Schedule -as it is more correctly known- began on the 1st January 2014 and will provide benefits for simple dental treatments to about 3.4 million eligible children. Kids aged 2-17 in families have to pass a ‘means’ test, they will then be entitled for benefits each year. The test is the same as for the existing Medicare Teen Dental Plan which it has replaced. Families must receive Family Tax Benefit Part A or other certain government payments to be accepted. Each child will be able entitled to $1000 in total benefit over a period of two years. Another $1000 will be available assuming the family still meets the criteria following completion of the first two year cycle. 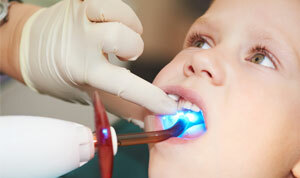 If additional treatment is required before this point, then normal dentist fees will apply. How far does $1000 go? Well it sounds like a lot but dentistry is expensive and multiple large fillings can rapidly use this up. Following the initial examination, we will prepare a treatment plan for you and we must obtain financial consent for the treatment to continue. When you ring up for an appointment, tell the receptionist (most likely Matilda) that you are eligible and would like your child or children to be seen under the Child Dental Benefits Schedule. You will need to bring evidence of your acceptance into the scheme (the govenment letter) to your first appointment. Benefits are not available for any orthodontic or cosmetic dental work, or any services provided in a hospital.